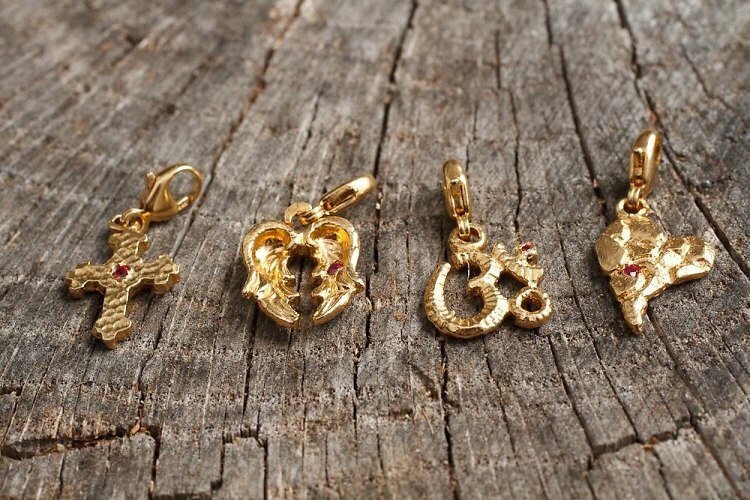 Today's Giveaway: Last Day To Win A Ring & Charm By Keep Me Knot! At GofG L.A. we love our jewelry, even better when those baubles have meaning behind them. Emilie Fate felt that way, so she created Keep Me Knot, her up-and-coming jewelry line of precious metal rings and charms in the shape of knotted rope. In addition to lending stylish flair, the details of each piece contain special personal meaning. We've partnered with Lifestyle and Branding expert Onelia Estudillo of Conspiracy LA and Keep Me Knot to give away one sterling silver ring and charm of your choice (we're picking the winner TODAY at 1pm). Keep reading for details on how to enter the giveaway! Keep Me Knot was created and founded by Emilie Fate. She uses her love for innovative design to help inspire and empower women through jewelry. Her goal was to create eye-catching pieces that have a specific purpose. Each ring has a different colored knot, meant to represent various struggles, such as love lost (red, of course). The charms are the empowering side of the line, as they range from an Om for spirituality to a pair of wings for freedom. The set is meant to help you (or your loved one) through difficult times. Whenever you're ready, give the ring to another in need and keep the charm to remember a source of strength during that chapter of life. 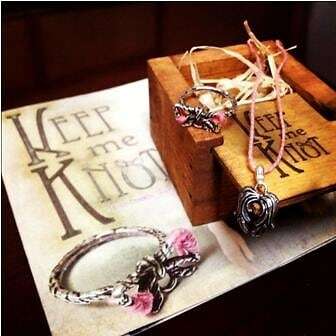 So how do you enter to win your very own sterling silver Keep Me Knot ring and charm? It's so easy and requires just a few simple steps! - First, follow Keep Me Knot on Facebook and/or Twitter and/or Instagram (@keepmeknot). -Then Tweet "@gofgla I want the @KeepMeKnot ring and charm." If you don't have a Twitter, you can also follow GofGLA on Facebook and tag yourself in this photo/comment underneath! We'll pick the winner TODAY, Thursday, December 6th. So get to it, people! Don't forget to like/follow Keep Me Knot on at least one social media platform, because you won't be officially entered until you do. The lucky winner will get to pick any sterling silver ring and charm off the website!